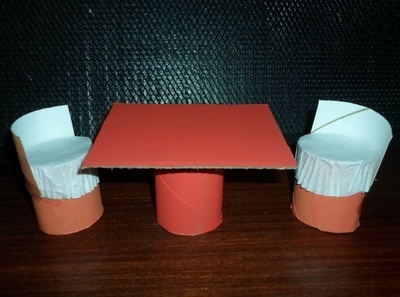 When my sisters and I were younger we would make whole houses out of cardboard boxes and this set of table and chairs was always a staple furnishing. 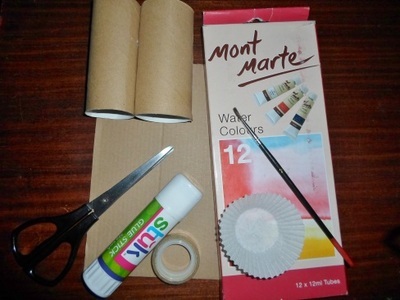 You don't need much to make it, and you can easily cut the toilet paper rolls to different heights to customise the set for your particular doll's size. 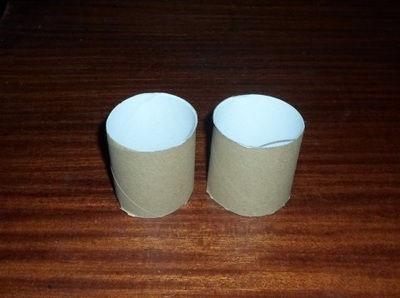 Cut one of the toilet paper rolls in half. 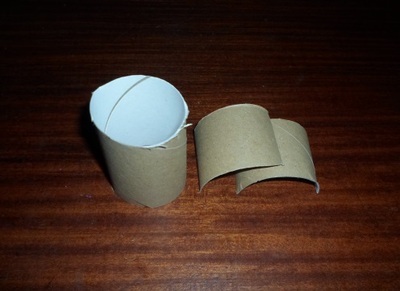 Cut off the top third off the second toilet paper roll and then cut that piece in half as shown below. 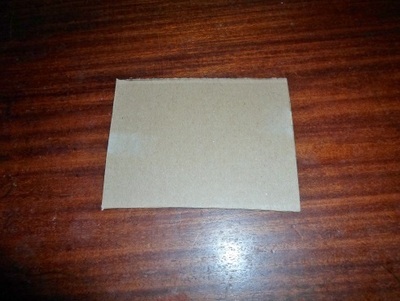 Cut out a piece of cardboard. Any size is fine. Mine was 11.5 centimetres by 8.5 centimetres. 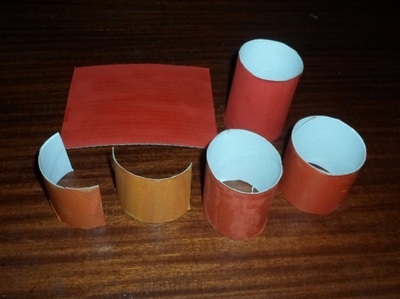 Paint all the separate pieces. Alternatively, you can wait till you've stuck everything together if you want to include the patty pans too. 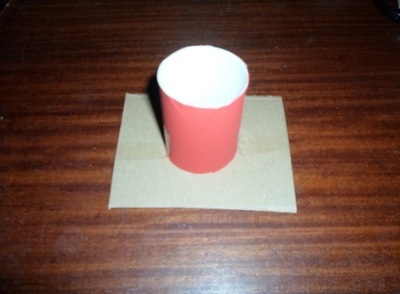 Tape the piece of cardboard to the top of the tallest of your toilet paper roll tubes. 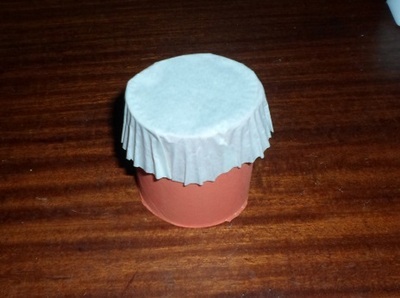 Glue a patty pan over one end of each of your two toilet paper roll halves. 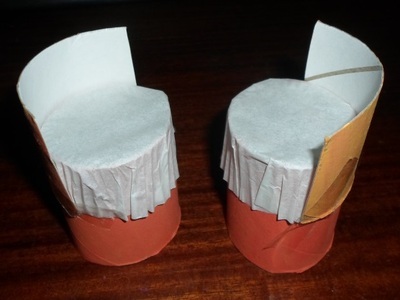 Tape the last pieces of your toilet paper rolls to the backs of the ones you just covered with patty pans.